THE PICKIEST EATER IN THE WORLD: SMILE AND SAY... SANDWICHEESE! Are you one of those people that can't have a meal without rice? Rina and her sister Chaikka, as well as a lot of my officemates absolutely refuse to have lunch or dinner without it. Me, on the other hand, I'm completely ok with a sandwich or burger for lunch. Maybe it's my fondness for bread that helps create a sense of satisfaction in my meals with a sandwich in lieu of rice, because sometimes, I actually even prefer it to a rice meal. 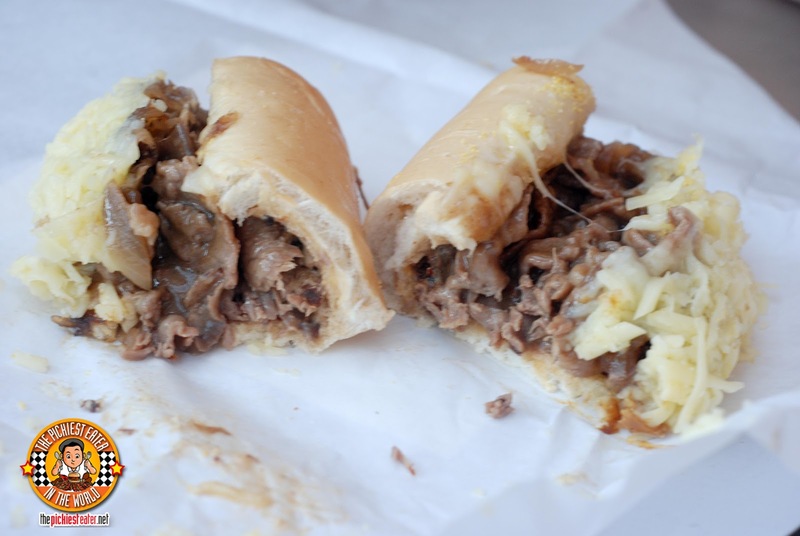 I'm always on the lookout for a good sandwich, which is why I was immediately drawn to places such as Chuck's Deli, The Cheese Steak Shop and Elbert's Cheese Steaks. I found out that one of my (and it seems everyone's) favorite restaurants, Bannaple, spawned a younger sibling right beside its first Katipunan branch, called "Sandwicheese", and I was immediately intrigued. So last Saturday, after we took Baby Rain to the doctor for her check up, my tummy started grumbling. 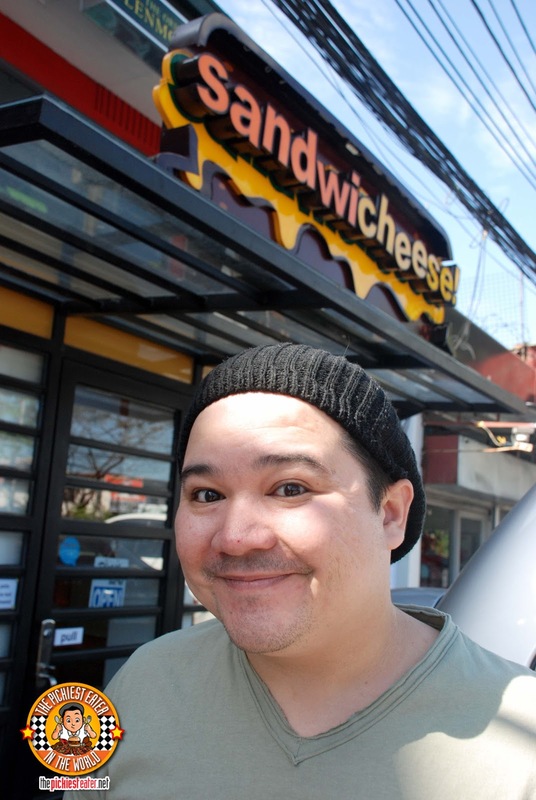 I told Rina that I wanted to check out Sandwicheese. Because she was taking care of Rain whilst we were in the car, she wasn't really paying attention and she said, "Yes, yes, I want to go there." I asked her if she heard what I said because she was distracted with Rain and she said, "All I heard was 'Cheese'". As I mentioned in my Elbert's Cheesesteak post, for some strange reason I like sandwiches wrapped in paper. It kinda reminds me of those Deli sandwiches that I would see in sitcoms (Joey's Meatball Sub in particular). I'm a firm believer that a good sandwich begins with its bread.. And thankfully, Sandwicheese's Cornmeal Bun knocks it out of the park. The bread was soft, yet served as a perfect casing to the meat that was laid inside it. Me being me, I ordered the Hickory Shredded Pork (P160). The medley of garlic cream cheese and parmesan bounced off the tanginess of the hickory sauce that bathed the shredded pork just beautifully. The carmelized onions helped quell the strong flavor of the hickory sauce from going overboard. I enjoyed this so much, I didn't even realize those sneaky bastards snuck in a piece of Romaine lettuce in it. For Rina, I ordered the "Dripping Roast Beef" (P160). Like the Shredded Pork, they used the Cornmeal bun so we were already off to a good start. 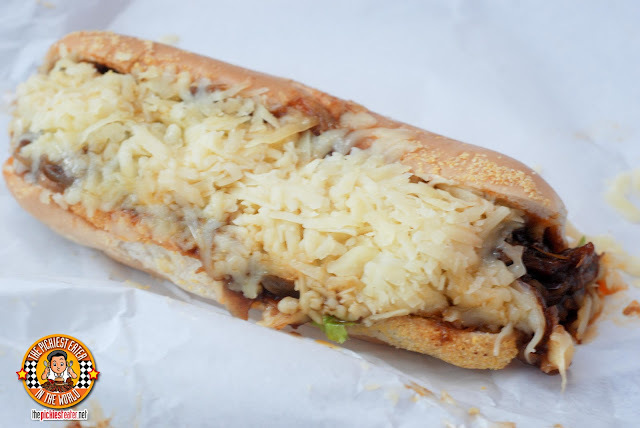 With its thick topping of cheese, it kinda looked like my Smoked Pork Sandwich. 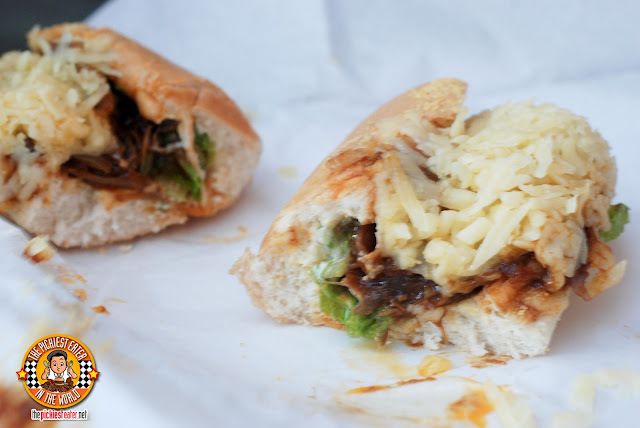 But breaking the sandwich apart revealed it was nothing like Hickory Pork. I get what they meant by "Dripping" because the beef strips were so juicy, it got me thinking that some of its own juices were poured into it. If my order had a robust flavor of hickory, this was mild, creamy flavor, which had a light tinge of acid from the sun dried tomato cream cheese. Since we had Baby Rain along with us, we brought her Yaya Tata with us as well. 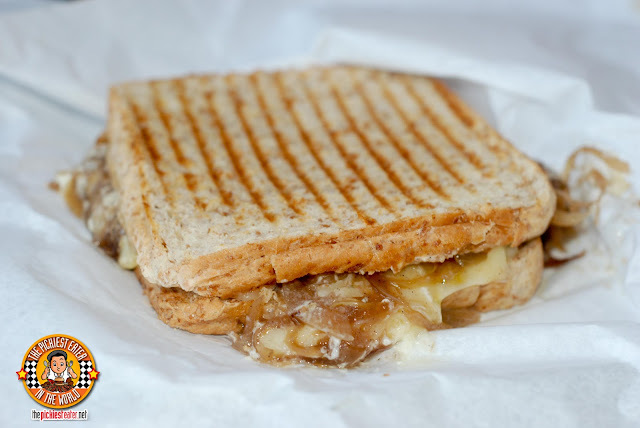 She said she didn't want anything too far out or heavy so I ordered her the Grilled Cheese with French Onion Sandiwich (P130) from their vegetarian sandwich selection. The whole wheat Panini was toasted just right, with the Panini grill marks leaving wonderful golden brown streaks down its back. 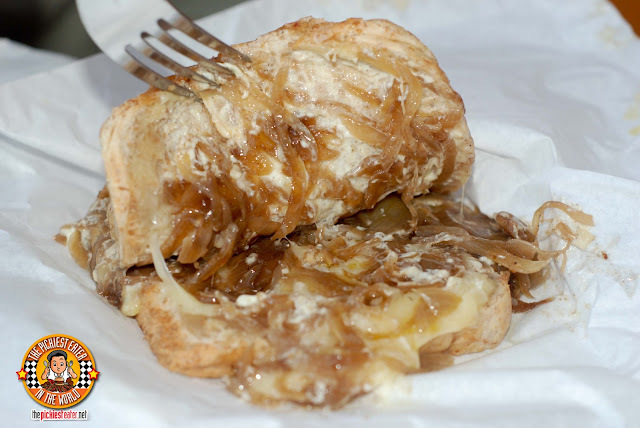 Lifting the top slice revealed a generous amount of caramelized onions laid on a bed of cream cheese. A lesser man would've been too embarassed to say, "Yaya, can I have a bite of your sandwich? ", but it looked so darn good I said what the hell (I ended up with two bites). For you non-meat eaters (aka weirdos), Sandwicheese also has some salads to choose from. thanks edelweiza! i'm enjoying it while it lasts.. im thinking in a couple of months she's going to get more and ore kulit! oh if it wasn't that far, i'd love to try it ASAP.. i super like sandwiches :D the owner is the same person who owns banapple right? tried their roast beef, really good!! 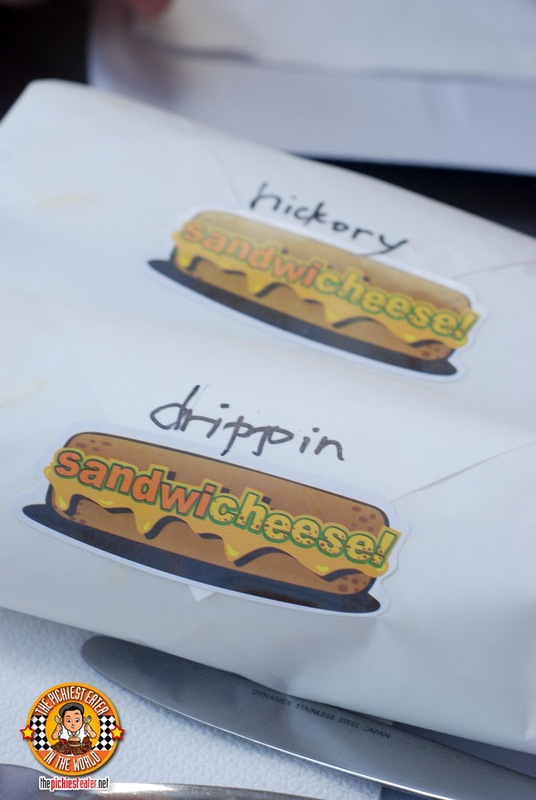 Would love to try the Drippin' Roast Beef sandwich! Too bad they don't have fries nor onion rings.. :( They're staples whenever I eat sandwiches or burgers. wow... :) yeah, there should be fries on the menu. perfect pair! Hi Richie! "Yaya, can I have a bite of your sandwich?" Haha! This cracked me up! So did Yaya Tata like her sandwich? Looking at Rain while she's sleeping is bliss I'm sure =) We can just stare at them forever right? I'm one of the people who has a difficult time eating a meal without rice! :P But heck, these sandwiches look good, I think I'll be willing to try it anyway. Hehe. haha Mary merienda nalang, para safe! 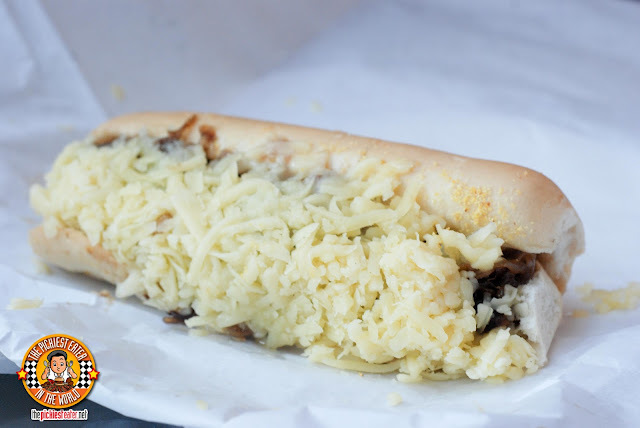 Haaaayyyy.... cheesesteaks.... :) Always a love-love affair with them ;) And this is so near home :D ! I did notice it before, but never knew this was form the same people as Banapple. Bro Have you been to The Cheese Steak Shop along Arnaiz Ave? 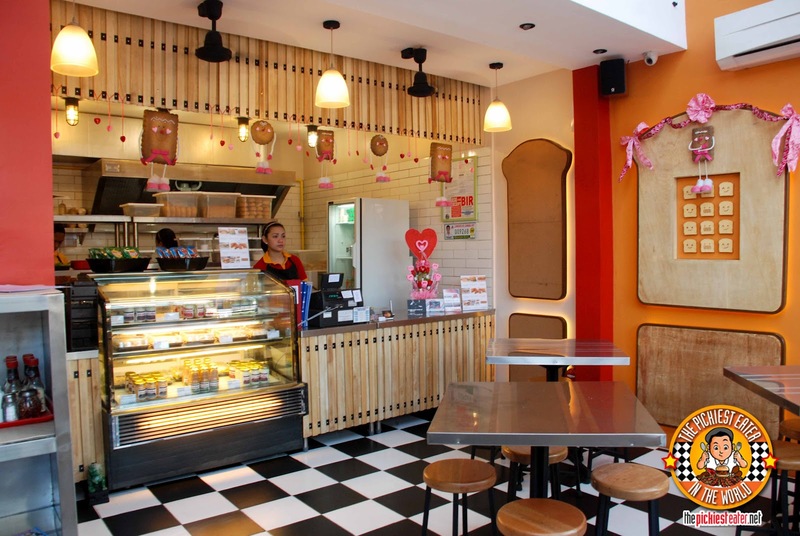 Plan na your trip to manila so I can take ya to all these places!